Here in the Kansas City metro market, outdoor fireplaces are becoming more and more popular. 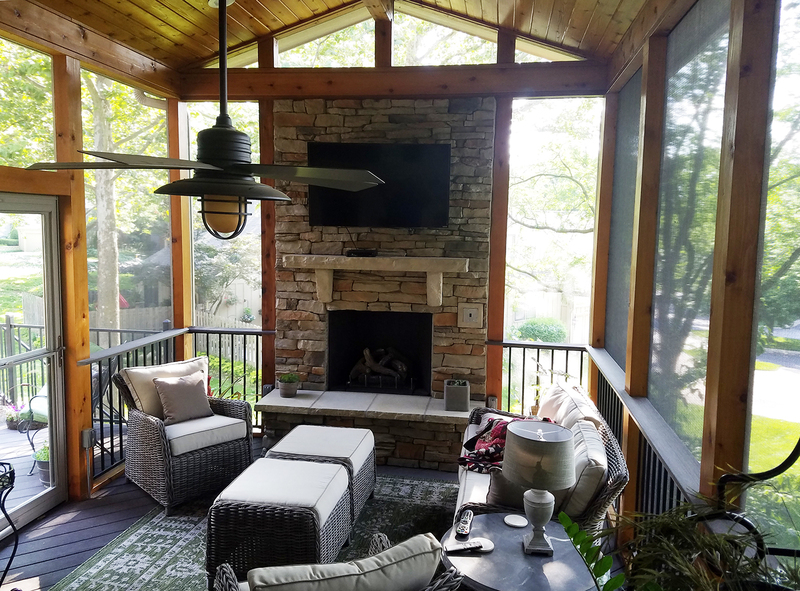 Homeowners are choosing to integrate an outdoor fireplace into their screened porch or even adding an outdoor fireplace to their deck. When you decide to add an outdoor fireplace, there are many considerations and decisions to make about materials, maintenance level, facades and how your fireplace will be powered. We wanted to share 3 great reasons for why you should choose gas or wood powered and one reason you might now want that fire source for your new outdoor fireplace. When natural wood burns, the flames ascend from logs and embers ad different heights. Unlike the flame from a gas fireplace, flames from wood burning dance reaching different heights and different shapes constantly as your fire burns. Like watching the ocean, watching dancing flames can be mesmerizing and can easily take your mind off your cares and troubles. Whether you burn treated firewood that you purchase in a bundle at the store or if you burn cedar or wood cut and cured in your own backyard, a wood burning fire comes with an authentic scent that’s sure to reminisce about time spent camping as a child or memories of a wood-burning fireplace at your home. Not only do your nose and eyes delight in the presence of a wood-burning fire, but so do your ears. The crackling sound of wood as it slowly burns and the sound of logs as they move is relaxing and enjoyable. Wood burning is, well, authentic. A wood-burning fireplace is significantly more expensive than gas burning. 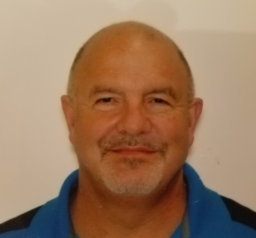 There are codes, restrictions, material requirements and distance requirements to attend to. A chimney equipped to serve a wood-burning fireplace must meet fire codes and other inspections. It could be substantially more to support having a wood burning fireplace vs. gas-powered. There are other drawbacks to wood burning including moving wood, storing wood, being careful of embers. Wood burning is actually prohibited or regulated in some states because of sparks, soot, and other are air pollution. But if the authenticity of wood is what your heart desires, we will ensure to build to all local building codes and will ensure your fireplace passes all inspections to ensure it’s a feature of your porch that you enjoy for many years to come. Don’t worry about a lighter. You won’t have multiple attempts to light it. No extra kindling or paper is needed to coax a fire to life. If your toes are cold, you can start warming them in minutes with your instant-on gas-burning fireplace. No work is required and there’s no waiting. Many gas-powered fireplaces even come with a remote ensuring you don’t even need to get up to turn it on. Click on the TV, select your favorite movie and then click on the fire below the tv mounted atop your outdoor fireplace. It’s also instant off. No waiting for the fire to burn out. Just flip the switch and there isn’t another care to worry about. Since they don’t have chimney requirement, they are usually less expensive. We are careful to say usually because there are always facade options, mantel options, built-in TV cabinets, hearth options and a number of other options that could add up. Exterior trimmings aside, gas is substantially less expensive. As we’ve said in other blog articles, nothing is more like genuine fire, than a genuine wood-burning fire. Can you have an outdoor fireplace on your deck? We can integrate a new outdoor fireplace into your new deck. You will have to make the same key consideration about fire source as you would with a porch inside your screened porch. In addition to the factors mentioned above, If the fireplace is wood burning, you have to think about where sparks are going. Often, gas may be your best bet because of the benefits mentioned above and because there are no sparks or embers making gas burning far more practical. 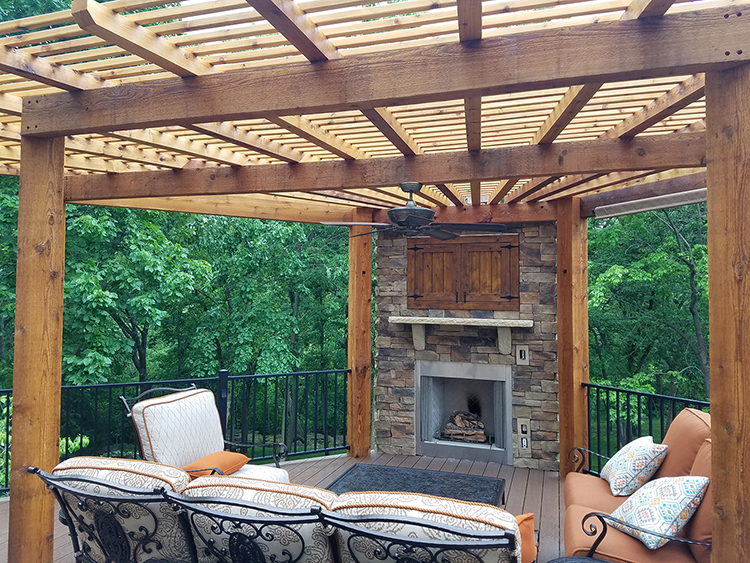 If you are considering adding an outdoor fireplace to your Kansas City screened porch, read our web page to learn more. If you’re looking for outdoor fireplace ideas and inspiration, check out our outdoor fireplace photo gallery. Give us a call for a free consultation at (913) 851-3325 or email us. We look forward to discussion design options for your new outdoor living space.